Financial Regulation Matters: KPMG Stops Consultancy Conflict-of-Interest: Progressive Step or another False Dawn? KPMG Stops Consultancy Conflict-of-Interest: Progressive Step or another False Dawn? We know here in Financial Regulation Matters that the audit industry is currently reeling from a number of high profile scandals regarding their involvement in corporate collapses. 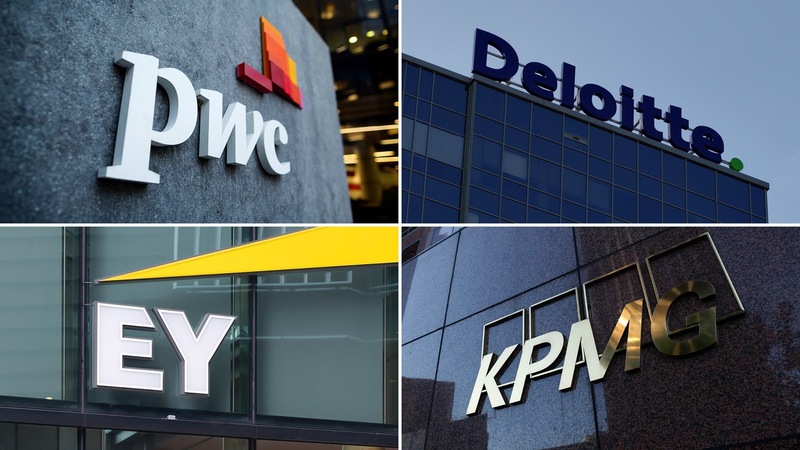 KPMG’s role in the collapse of both Carillion and BHS, alongside the involvement of their Big Four counterparts in the same, and in different scandals has led to calls to break up the ‘Big Four’ auditors. Whilst we have discussed this issue before, the Big Four (at least members of the Oligopoly) have now proposed a different solution, and have taken strides to enforce their will by taking action. However, there are a number of vital questions that stem from their decision. KPMG, announcing the move on Thursday, stated that they are to drop the availability of consultancy, or ‘non-audit’ services to clients they are simultaneously auditing, focusing on FTSE 350 clients specifically. Whilst a date for the policy change has not been confirmed, the Chair of the firm’s UK division stated that the move was intended to ‘remove even the perception of a possible conflict of interest’. In unity, just as an oligopoly should operate, Deloitte have also backed the plan, which can be seen as a direct response to ongoing research and investigation by the Competition and Markets Authority regarding how the audit sector ‘is not working well for the economy or investors’. The Times suggests that this decision will cost KPMG up to £80 million in fees, although that figure is perhaps inaccurate is the Times goes on to state that the Big Four made over £3 billion in fees from audit clients last year, with £1 billion generated from non-audit services. It is also interesting to note that the beleaguered regulator the FRC has already been discussing whether to prohibit audit firms from providing non-audit services to audit clients, which demonstrates to us that this idea is perhaps the optimal one on the table. So, what can we take from the above. The first thing to note is that the effect of divestment took around four years to really take effect. 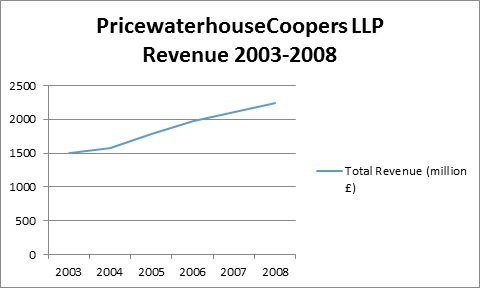 Second, the effect upon PwC’s bottom line was not negative, but in fact had no bearing at all. We cannot attribute the divestment to the rising revenues, as the most obvious reason is the upturn in the economy and the housing bubble, but any suggestion that divestment would negatively impact these firms can almost be dismissed out of hand. Yet, there is a bigger issue. 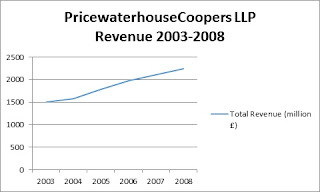 We can see that the Big Four divested from the consultancy divisions they had created, but we know now that in the wake of the Financial Crisis, when the Credit Rating Agencies were really catapulted to the fore in terms of public backlash for their involvement – interestingly, as a result of acquiring many of the divisions and practices perfected by the auditors; the consultancy conflict-of-interest was, and remains to be a significant problem in the field of credit ratings), the auditing firms began rebuilding their consultancy offerings. Therefore, it is not cynical to suggest that this pattern is replaying right before us. There are some many issues in the audit field, that presenting one proposal to remedy the ‘effect’ the sector has upon society is almost meaningless. We have calls to open up the field and incorporate the outsiders to the oligopoly, even though said outsiders, like Grant Thornton, are currently in the mire regarding their own auditing practices (in relation to the incredible scandal at Patisserie Valerie). Yet, focusing on this concept of the removal of consultancy services, this author has warned against this concept before. In this author’s first book, the point was made that the removal of ‘ancillary services’ i.e. services that are not vital to the completion of the gatekeeper’s function, should never be allowed on the gatekeeper’s terms, as they then become, inherently, reversible. In a forthcoming book, which this author will be editing (and contributing a chapter) entitled Regulation and the Global Financial Crisis: Impact, Regulatory Responses, and Beyond, the argument will be made that to defer this vital move to the gatekeeper is an incredible mistake, and that this move essentially retains the option to digress. Whilst the CRAs and the auditors serve different functions, the impact of their digression is eerily similar, and that is that the impact is systemic. It is appalling that these lessons are not being learned. It is not as if regulators, politicians, and concerned onlookers have to go back centuries to find these patters – it was merely 18 years ago that the auditors played this same trick. Is it the case that amnesia has set in and people are unable to identify the trends? Of course this is not the case, because for anyone interested in the audit field, the Enron-era is something many can easily recite. Therefore, perhaps it is another, more negative outcome that we must arrive at – those who have the power to enforce such actions will not, because they do not want to. To enforce that consultancy services are never offered by such societally important entities, would essentially mean that a theoretical short-term hit to the bottom line would ensue. Perhaps there will not be another bubble to inflate the bottom line like last time? Nevertheless, the reason for the abolition of consultancy services – public protection – is unfortunately not a consideration, as this period, and previous periods surely demonstrate. It is up to concerned onlookers, and probably more importantly business journalists and editors, to shape the narrative so that the audit companies’ decision to divest is not seen as a positive this time. To promote to permanent prohibition, with the aim of public protection, now in the wake of the auditing scandals that are blighting the marketplace would be the socially progressive thing to do. The question is, will this happen?